Bill Golden is co-president, with his brother Craig, of Golden Shoes, a family owned and operated shoe store in downtown Traverse City since 1954 and which succeeded a shoe retailer dating back to 1883. A Traverse City native, he began working in the store at age 14 and joined the store full time in 1981. He is active in numerous community projects and serves on the board of the Traverse City Downtown Development Authority. Golden Shoes was honored as Michigan Retailer of the Year in 2005 in the small retail category. 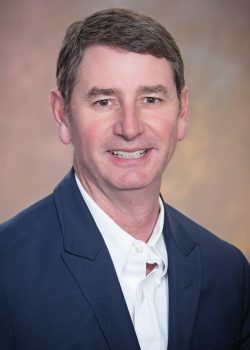 He was first elected to the Michigan Retailers Services board in 2012, and left to join the MRA board in 2018.